We know that milk is good for our bones, but did you know it has many BEAUTY benefits as well? Mixing milk with bathwater has been done for centuries as a quick and easy way to moisturize and soften your skin while you relax in the tub. Relax in a warm milk bath of almond honey. 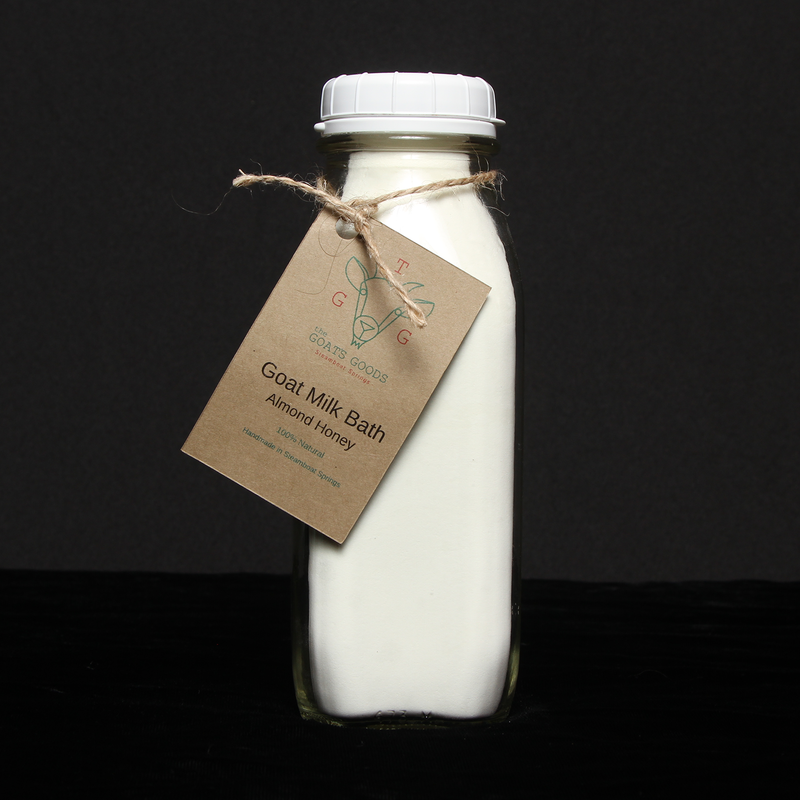 Goat milk bath has many benefits for the skin, it helps soften and soothe your skin. When you get out of the bath your skin will feel soft and rehydrated. This product is safe for infants to adults. Goat milk bath is 100% Natural.